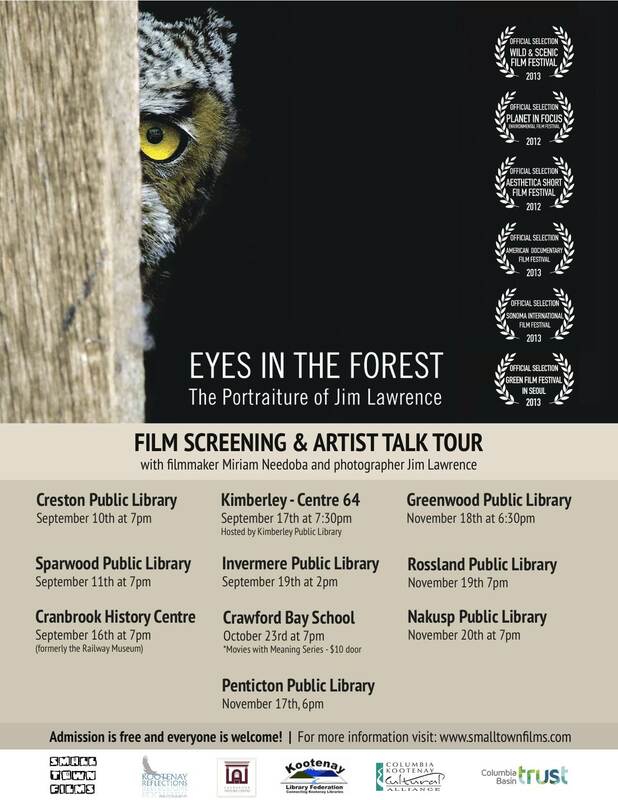 Filmmaker Miriam Needoba and photographer Jim Lawrence will embark on a regional tour this fall with stops in Creston, Sparwood, Cranbrook, Kimberley, Invermere, Penticton, Greenwood, Rossland and Nakusp. 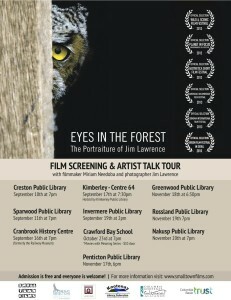 The program will include a screening of the short film and artist portrait “Eyes in the Forest: The Portraiture of Jim Lawrence” made by Needoba. The film has screened at over 30 festivals and events since its release in 2012, and is being broadcast on Knowledge Network and Shorts HD. Lawrence will also have his some of his photography on hand, and the artists hope to engage audiences in a conversation about wildlife and their habitat. The tour is supported through Columbia Kootenay Cultural Alliance and Kootenay Library Federation, whom are also hosting most of the events.